On this Audi RS4 we installed the latest Apple Carplay unit from Pioneer, this new unit gives full Apple iPhone integration the highest level with full navigation and messages functionality. We also interfaced with the cars multi function steering wheel , this was coded and rewired to the car and interfaced with the new Pioneer double din unit. 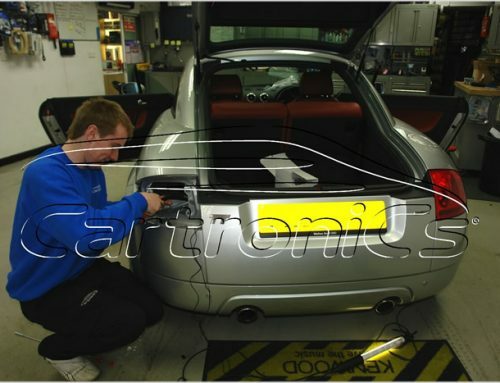 The early Audi A4 units for double din require special panelling which Cartronics keep in stock. Looks great, Apples IOS in the car is as expected – Great! And installation to the highest standards makes this a great install.